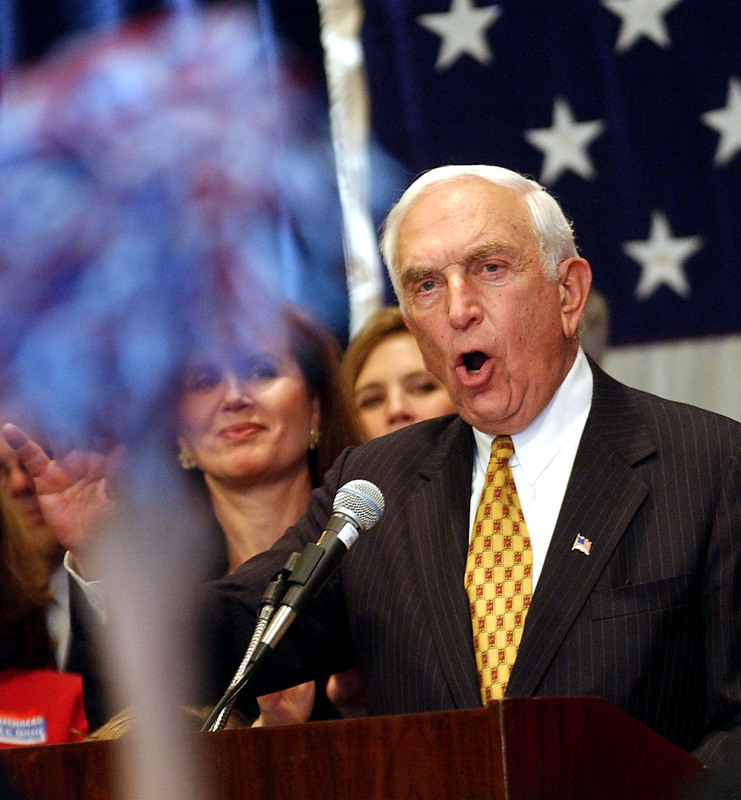 Senator Frank Lautenberg is dead at the age of 89, his office confirmed Monday. Lautenberg was a Democrat and the longest-serving senator in New Jersey's history. His death creates a vacancy in the Senate for Governor Chris Christie to fill. Lautenberg was the oldest member of the Senate, and recently turned heads when he had to be ushered out onto the Senate floor in a wheelchair in order to vote for expanded measures on gun control. While his amendment to impose a 10-round limit on ammunition clips was recently rejected, Lautenberg remained a firm advocate for further gun control until the end. The late Senator's most famous legacy may be writing the 1984 law that raised the drinking age to 21. He was also instrumental in leading legislation that established a blood alcohol level of .08% as the minimum for drunk driving. Lautenberg had announced earlier this year that he would not be seeking reelection in 2014 due to ongoing health concerns. He died of viral pneumonia.